Buckhead is located in the northern part of Atlanta and is widely known for its top shopping, dining and entertainment districts. Here you’ll find exquisite luxury properties, high-rise office buildings, and many of the most desirable condos in Atlanta. Home prices in Buckhead generally start in the $300’s but can easily get into the ten’s of millions, especially in locations along West Paces Ferry Road near the Governor’s Mansion. The average size house in Buckhead is approximately 2,950 sq/ft. Want to know what homes are selling for in Buckhead? Visit our market trends page for the latest local real estate statistics; then browse recently sold properties in the area. Also, check out our Buckhead community guide to discover what makes this part of Atlanta such a great place to live. Buckhead is one of the most popular and most recognizable areas in Atlanta. With an eclectic mix of historic homes and boutique shops, restaurants, and nightlife, Buckhead is the epitome of the modern lifestyle. 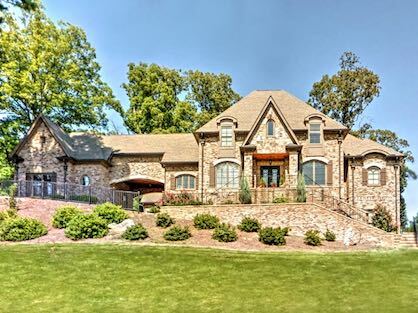 Buckhead is also home to many of Atlanta’s most beautiful and expensive homes. Classic architecture and style abounds on these large, historic homes. Numerous houses were built in the early 1900s and have been meticulously maintained and preserved, resulting in some of the most historic and preserved real estate in Atlanta. From modern style to Southern gothic, classic ranch to stately Tudor, Buckhead real estate is second to none. The area continues to grow and develop as the years pass, with even more plans for the future. Whether you prefer upscale shopping or dining, entertainment or history, you’re sure to find your bliss living in Buckhead. The real estate market in Buckhead has fared quite well over the past few decades, and shows no sign of slowing down. Outside of the condo market taking a hit after the 2008 housing bubble, residential properties seem to have maintained their values much better than those in the rest of Metro Atlanta. This was likely a result of the area’s high economic wealth and desirable in-town location. Home prices continue to appreciate, and condos are once again selling like hotcakes. If you’re looking for up-to-date market statistics, simply visit our Buckhead market trends page for monthly updates on listing inventory, closed transactions, average home prices, price per sq/ft, pricing ratios, days on market and more. In addition, MetroAtlantaHome.com provides market statistics for pre-foreclosures, foreclosures, REO sales and more… giving you a complete picture of the local housing market. When searching real estate in Buckhead, it’s important to remember that Buckhead is not an actual city. Well, there is a small town in eastern Georgia (Morgan County) called Buckhead, but that’s probably not what you’re looking for… So don’t enter Buckhead as the city when performing your search! All the properties in Buckhead have an Atlanta address; which is how they’ll be listed in the MLS. 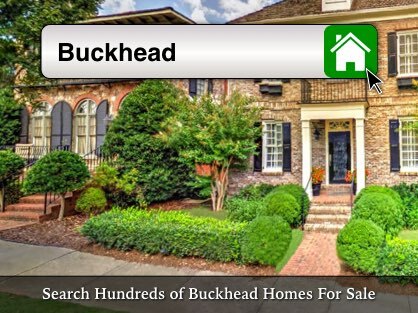 The best way to find houses for sale in Buckhead is to search by zip code, by school district, or by map. If searching by zip code, 30305 and 30326 will give you properties located in the heart of Buckhead. In addition, the 30309, 30319, 30324, 30327 and 30342 zip codes extend into what is considered the Buckhead area. Therefore, they too may be worth including in your search, depending on which side of Buckhead you’re looking to live. If you're looking for new construction in Buckhead, there typically isn't a lot to choose from. Most of Buckhead has already been developed, so vacant lots tend to be scarce. There always seems to be a new condo development going up, but single family homes are another story. However, some luxury builders are buying up older properties to demolish and redevelop. Therefore, you’ll find new homes scattered throughout the area with no definite concentration in any one location. Because land is so expensive in this area, the houses that do go up, tend to be large and well appointed. The price point for new homes in Buckhead generally starts in the 800s and goes well into the multi-million dollar range. Are you looking to live in the middle of the action, but can’t afford the high cost of a single family home? If so, a condo or townhome may be the perfect fit for you. With more than 60 condo/townhome developments in the heart of Buckhead, there’s no shortage of options, regardless your price range. Start searching Buckhead condos for sale and find your perfect unit today! Condos can still be found for under $100K in some of the older buildings, but don’t be surprised if you see price tags reaching $5 million or more for luxury units in high end complexes such as the St. Regis Residences, Mandarin Oriental and Ritz Carlton Residences. No matter which building you choose, you won’t be far from all of the top shopping, dining and entertainment options Buckhead has to offer! One of the biggest benefits of condo living, besides the amazing location, is the amenities you can access as a homeowner and member of the association. Although they vary from one complex to the next, some of the more popular amenities include: gated/valet parking, concierge service, workout facility, pool, business centers, WIFI, security, pet areas, storage units and more. Keep in mind, these amenities aren’t free; the cost is shared by all homeowners and is typically charged as a monthly fee (in addition to your mortgage payment). When buying a condo, it’s important to review and understand the declaration & bylaws. They are unique for each complex, and every unit is subject to their rules. In addition, it’s also a good idea to review the association’s finances and past meeting minutes, if your agent can get a hold of them. As a seller, pricing your unit properly is the key to a successful sale. You should consider any upgrades your unit has, what floor it’s on, the view, and comparable properties in the area, especially those for sale or recently sold within the same complex. In addition, it’s important to verify your building’s eligibility for financing. In the past, some developments were not eligible for certain loan types, such as FHA and other low down payment mortgages. The long-awaited Buckhead Atlanta development opened to much fanfare in late 2014, bringing to fruition a plan that had been in the works since 2011. A 9-acre mixed use development, Buckhead Atlanta is situated on Peachtree in between Pharr Road and East Paces Ferry Road. 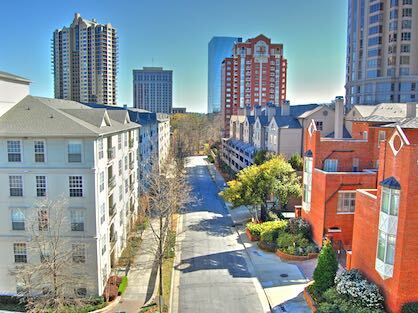 Buckhead Atlanta prides itself on being a walkable, accessible community, with beautiful architecture, numerous green areas, and stylish pavings to accentuate its outdoor, open-air design. Buckhead Atlanta also offers luxury apartment living at The Residence. With modern design, open layouts, and top of the line appliances, The Residence at Buckhead Atlanta is the true city-dweller’s abode, and most apartments offer sweeping views of the Buckhead and Midtown skylines. 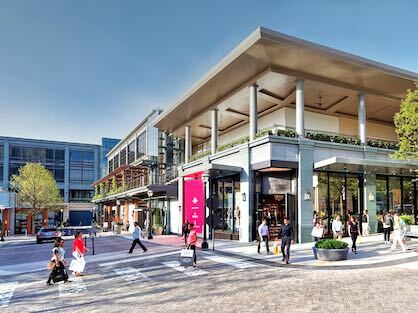 Visitors will find more than 30 retail shops and restaurants in Buckhead Atlanta with more slated to open in the future. The stores range from upscale to trendy, Warby Parker, Jimmy Choo, and La Perla are among the favorites. Restaurants vary and include Corso Coffee, Doraku Sushi, Shake Shack, and Georgetown Cupcakes. Touted as “the next generation in creative office,” The Office Buckhead Atlanta targets everyone, from startups to seasoned professionals and is being developed under the watchful eye of OliverMcMillan, developer of Buckhead Atlanta. Property taxes are a big part of home ownership, and they play a major role in the funding of essential county/city services, such as schools, police, fire, parks and more. Buckhead properties are located in the city of Atlanta (Fulton County), therefore, subject to city and county taxes. To determine the taxes due, each property is assessed by the county’s Board of Tax Assessors to establish a fair market value. 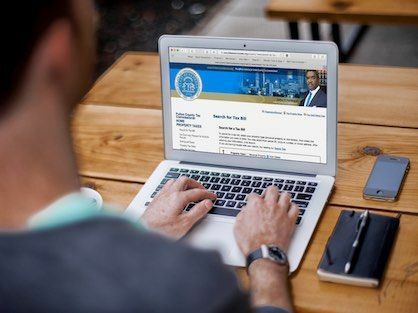 The tax rate, or millage rate, is determined by the Board of Commissioners and other Governing Authorities within the county and city of Atlanta. The market value, tax exemption (ex: homestead) and the millage rate, are used by the Tax Commissioner to calculate the property taxes for each parcel, then the annual bill is sent out. When it comes time to buy or sell real estate, there’s no doubt you’ll find yourself needing to look up property records, historical tax data and more. Fortunately, Buckhead property records are available free to the public through Fulton County’s online portals. When you need a REALTOR® that goes above & beyond, is a leader in innovation and real estate technology, and has established themselves as a true expert in the Buckhead housing market, look no further. As some of the top real estate agents in Buckhead, we understand each client’s situation is unique, therefore our service is personalized to match the needs of that individual. Without the proper guidance from an experienced agent, the buying and selling process can be a maze of confusion and uncertainties. Going at it without the assistance of a seasoned professional can cost you thousands of dollars, and more importantly, valuable time. If you’re ready to start the process of buying a home, townhome or condo, give our team a call or shoot us an email. From the initial contact, to the final signature at the closing table, you'll have an agent who's with you every step of the way.